We’ve been very fortunate to have a couple of clear Moonless nights recently and I’ve been able to fire up the mini-WASP array, and the Hyperstar III. 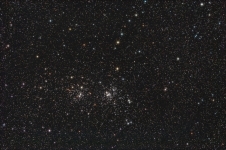 The Double Cluster was taken using an imaging time of just one hour using a Sky 90 and a TS 80mm APO with the M26C camera – so 2 hours of data in total – the third camera needs to be flattened and collimated to the second TS 80mm APO for the array to be fully operational. 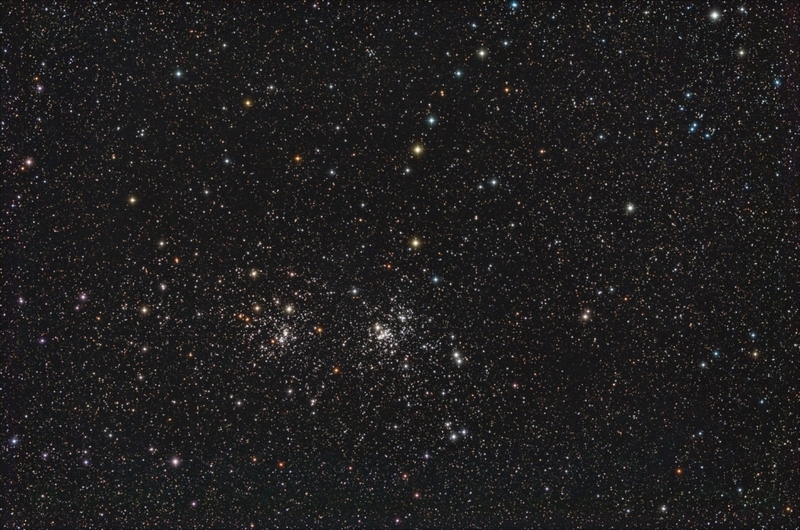 Still – there’s enough data there for Noel Carboni to pull out a really decent image of the Double Cluster. 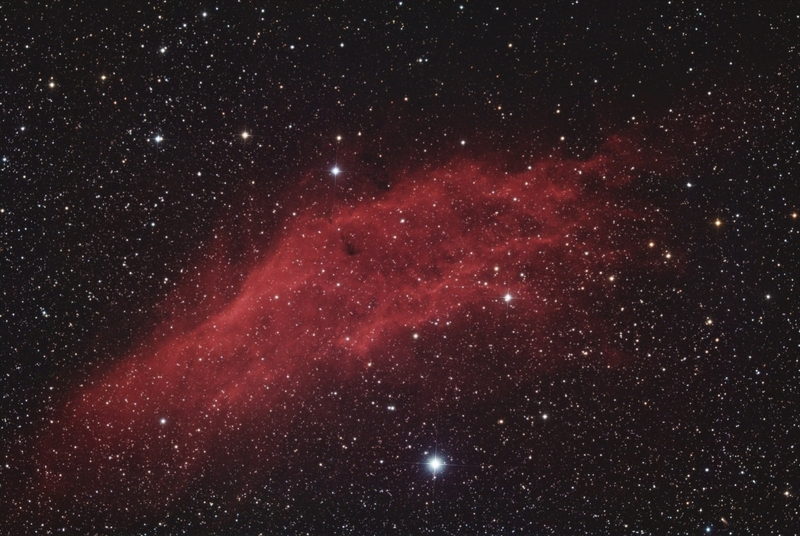 The California nebula is a work in progress, and this image is just 6 x half hour subs again using the Sky 90 and a single TS 80mm with the M26C one-shot colour camera. All RGB data so far, but I intend adding in narrowband H-alpha and H-beta as well as this nebula is meant to be reasonably strong in H-beta. This being the case the “true” colour of the nebula is bright red but with a bluish tinge (see Steve Cannistra’s superb California nebula image to read more on this). Again this image has been superbly processed by Noel Carboni who managed to bring out every detail that could be dragged out of the data.